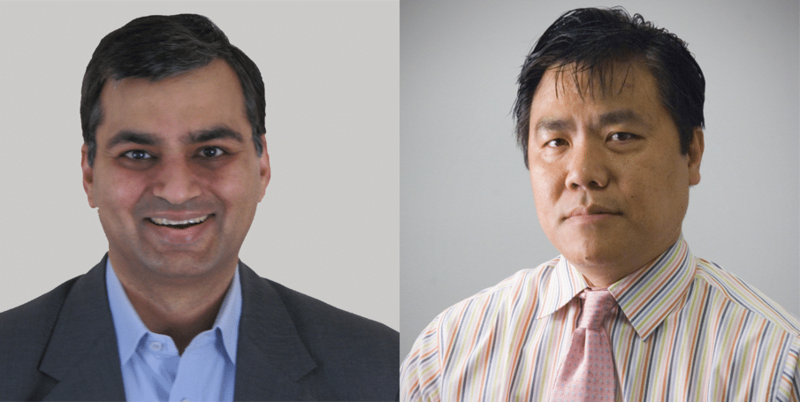 In conjunction with the Mantle Cell Lymphoma Scientific Workshop, the Lymphoma Research Foundation announced two MCL Therapeutic Studies Grants, awarded to Sandeep Dave, MD, MS of Duke University and Jianguo Tao, MD of H. Lee Moffitt Cancer Center. As one of the world’s largest private funders of MCL research, the Foundation has funded more than 50 grants for over $25 million since inception of the MCL initiative in 2003. LRF grants have led to important developments in the field, including the use of DNA microarray technology to distinguish indolent and aggressive MCL, models to predict prognosis, discoeries that further understanding of treatment resistance in MCL, and the identification of biomarkers that may permit more personalized treatment. This year’s funded projects are expected to have an immediate impact on the understanding of MCL’s biological mechanisms. Dr. Dave is a Professor at Duke University and a member of LRF’s Scientific Advisory Board (SAB). His LRF grant project uses tissue samples collected as part of an NCI-Canada Intergroup Study in patients with previously untreated MCL. He and his colleagues will use the samples to assess biomarkers that can predict the clinical behavior of a patients’ disease when given standard therapies, in hopes of identifying biomarkers that can predict whether a patient will respond to or be resistant to current frontline therapies in MCL. Read more about Dr. Dave here. Dr. Tao is Professor at the University of South Florida College of Medicine and Senior Member at H. Lee Moffitt Cancer Center. His project seeks a greater understanding of the biological mechanism behind ibrutinib resistance in MCL, with the goal of designing effective combination therapies to attack the mechanism causing the resistance and prolong ibrutinib’s effectiveness. His research on this topic prior to his LRF grant was presented at the 2019 MCL Workshop. Read more about Dr. Tao here. The Foundation also announced eight LRF Scholars, participants in the Lymphoma Clinical Research Mentoring Program (LCRMP). Founded in 2014, the LCRMP brings fellows and junior faculty pursuing lymphoma clinical research careers together with senior experts in the field. The program begins with a week-long workshop where Scholars work with expert clinicians, statisticians, and translational researchers to improve a clinical trial protocol and participate in discussions particular to a medical research career, such as preparing effective research publications and presentations, working with the NCI cooperative groups, finding (and later becoming) a mentor, and working with LRF education and research programs. Scholars later participate in two follow-up programs, including attending a grant review meeting and presenting their research at the North American Educational Forum on Lymphoma. Read more about the MCL Workshop in the Summer 2018 edition of Research Report.